Kolkata received the Best Cities of 2016 Award during the C40 Mayors Summit in Mexico City along with 10 other cities. The award recognized the city’s programme for handling solid waste management. Bilawal Bhutto, son of former Pakistan Prime Minister Banzir Bhutto has announced that he will be contesting elections from Larkana in 2018. Larkana was also Benazir’s constituency. Benazir Bhutto was the 11th Prime Minister of Pakistan and belonged to the centre-left Pakistan Peoples Party. She was killed on 27th December 2007. Chennai-based Indian Overseas Bank along with OLA Cabs has launched a mobile ATM service through which customers can withdraw Rs. 2,000 through a micro ATM in Chennai. OLA Cabs was founded in 2010 by Bhavish Aggarwal and Ankit Bhati. The United States House of Representatives has passed a defence bill pledging $900 million to Pakistan for assistance but a major portion of this depends on Pentagon’s affirmation that Pakistan is taking noticeable steps against the Haqqani Network. Haqqani Network is an Afghan guerilla insurgent group to fight against NATO forces and Afghan government. The amended Rights of Persons with Disabilities Bill 2014 has proposed an imprisonment term of 6 months to 2 years along with a fine between Rs. 10,000 to 5 Lakhs for discriminating against differently able persons. The bill might be discussed on Monday. The Italian population voted in a referendum about constitutional reform that would decided the political future of Prime Minister Matteo Renzi. If the opposition wins, it could trigger political instability. 45th Navy Day was celebrated in India on 4th December celebrating the Indian Navy’s role in the 1971 Indo-Pakistan War when missile boats carried out a daring attack on Karachi harbor. This was known as Operation Trident. The Chief of Naval staff is Admiral Sunil Lanba. V J Emmanuel has won the legal battle upholding his right to not sing the national anthem in school. This issue started in 1985 when Emmanuel and two other students belonging to the Jehowah’s witnesses sect were students in NSS High School in Kottayam district of Kerala. USA’s President-elect Donald Trump has named General Motors CEO Mary Barra to head his economic and job-creation panel along with announcing that James Mattis will be the US Secretary of Defence. James Mattis is a retired Marine Corps general. 1. Bilawal Bhutto will be contesting elections from which constituency in 2018? 2. OLA Cabs has teamed up with which Bank to provide mobile ATM Service in Chennai? 3. 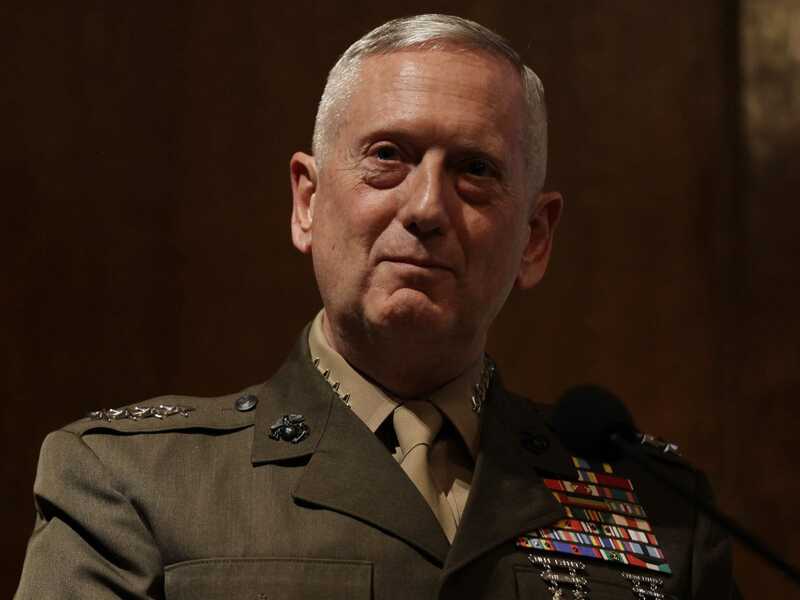 President-elect Donald Trump has named who as the prospective US Secretary of Defence? 4. Who is the Chief of Naval staff in India? 5. Which Indian city received the best cities of 2016 award during the C40 Mayors Summit? That aside, Thanks a lot for these briefs.. ! About VJ Immanuel, that case was decided in 1986 right ? …Bijoe Emanuel vs State of Kerala? Anything new happened now ?